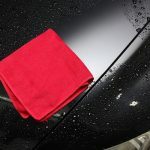 Microfiber cloths are one of the most essential auto detailing supplies. But not all microfiber cloths all created equal. There’s a specific cloth for a particular purpose. 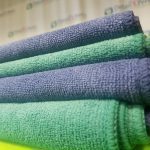 But which type of microfiber towel should you use for the job you have at hand? Microfiber fabrics are made from small fibers tinier than a strand of silk. Normally, this is combined with polyester and polyamide. Additionally, microfiber cloths are different due to their composition and interlocking material. The two fibers used to create microfiber cloths split due to different surface tensions and create edges that capture dirt. The edges store the dirt into small holes where it only releases the particles in water. This microfiber cloth is normally found as a mitt or sponge product. The microfibers are woven to look like fingers making this fabric good for pulling away dirt. Additionally, these microfiber cloths are recommended for dusting the dashboard and center console of your car. Because of their design, they prevent dirt from escaping, do not scratch the surfaces in your car, and are lint-free. These typically need rinsing frequently after each use. A good example of this product would be Ultimate Car Wash Mitt by Relentless Drive. The car wash mitt, because of its thickness and plush microfibers absorbs and holds water easily, and is scratch-free and comfortable for use. Typically, the cloth’s material is 16″ by 16″ and made from a blend of polyester and polyamide of 80/20 or 70/30. It has a standard split weave and no specific use. The thickness makes it ideal for wiping paint, glass, plastic, and leather. 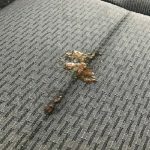 General purpose cloths clean almost every surface of your car from the seats to the steering wheel. The Workhorse Yellow Professional Grade Microfiber Towel by the Chemical Guys exemplifies these characteristics. They claim the towel to be perfect for drying, cleaning, wiping, and buffing everything from interior carpets to plastics. Additionally, the towel removes water, cleaners, dirt, and debris quickly. The towel is very soft and fairly large, and will not leave any scratches. Waffle weave microfiber cloths normally make great towels for polishing and buffing exteriors. However, they also double as fantastic window and glass cleaning towels. 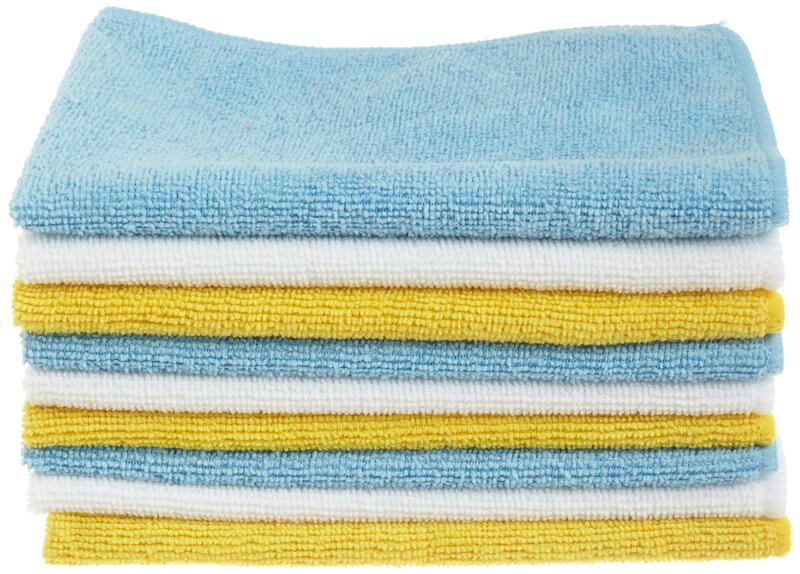 100% lint-free these towels also have less thickness than a general purpose towel. Additionally, these towels dry quickly, reducing the risk of streaks when cleaning windows. Despite their rougher corduroy design, their absorbency is extremely high. The Rag Company has a good example of a waffle weave towel called the Dry Me A River Jr which is 20 in. by 40 in. The extremely soft towel delivers scratch-free results for a decent price. In addition, the towel isn’t abrasive and becomes lint-free and flexible after washing. 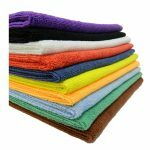 Usually, microfiber cloths last for a long time, but only if properly washed and cared for. When washing most microfiber products there are 3 main rules to follow. Improper cleaning of these towels causes them to not perform the way they should. The material that makes up microfiber cloths shrinks when placed in hot water. To prevent damage to the fabrics, use cold water only and a mild detergent for cleaning. Positive and negative charges are part of the reason that microfiber cloths attract dirt so easily. Dirt contains negative charges and the microfiber produces positive charge, thus, opposites attract. Bleach reduces the positive charge that the fabric contains. Additionally, fabric softener not only has the same effect but also reduces the towel’s ability to pick up water and dirt. Heat and microfiber are like oil and water, they do not mix. A microfiber cloth dried on high heat ruins the polyester in the composition. It also makes the cloth more likely to leave scratches. Air drying is normally the best method for drying these, but if you do use a dryer, use low heat. To bypass the hassle of cleaning and deciding on what microfiber cloth to use, consider DetailXPerts. 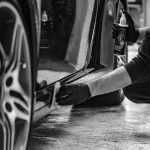 Our patent-pending steam cleaning technology gets rid of the toughest of stains and restores your car. Schedule an appointment today.